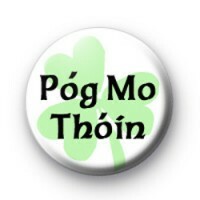 A fun Pog Mo Thoin badge we designed for St Patricks day. Gaelic for kiss my arse. Hangovers are optional.